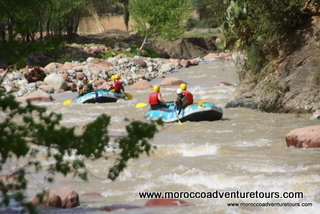 Located in the magical Ourika valley at the foot of the Atlas mountains and just a one hour transfer from the centre of Marrakech city, this river is fantastic fun and a great place for beginner and experienced rafters alike. It is a half day rafting trip so will last for the morning or afternoon. 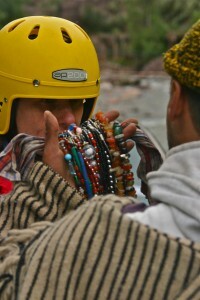 Included are all equipment and collection and return from the centre of Marrakech or directly from your hotel. The Ourika river is grade 2-4 plus depending on the level of the river on the day. 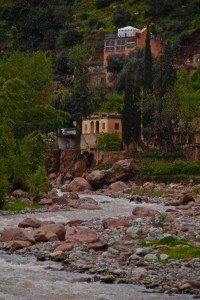 The Ourika Valley is a very popular tourist destination for both visitors and Moroccans. 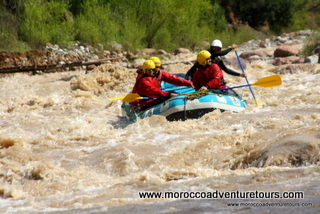 The stunning back drop of the often snow covered Atlas mountains along with the steep sided gorge with the Ourika river running its length make this a must visit destination for those in Marrakech who want to get out of the hustle and the heat. 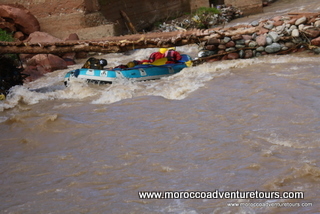 Rafting trips here are a bit of a spectator sport and you will have all the local children and villagers clapping and cheering you as you pass down the river. Age range from 16 years and up. 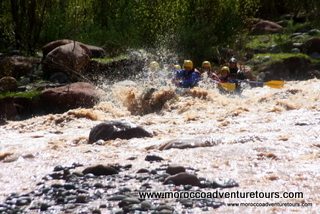 For those seeking fun, adventure and a fair bit of adrenalin this is a “must do”part of any trip to Morocco and Marra kech. 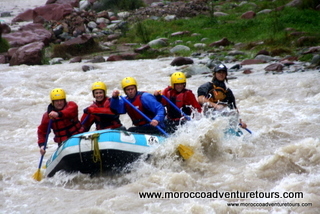 By far our most popular rafting trip on the Ourika river this trip delivers steep and technical rafting from the start to the finish. This is not sedate trip down a river looking at the scenery! 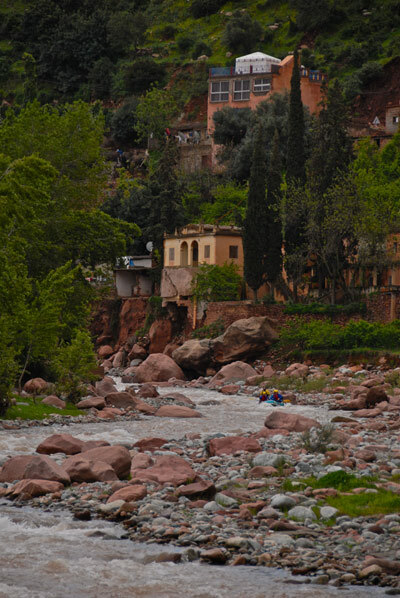 You will have plenty of time before and after the trip to take in the environment and culture of the Ourika valley. 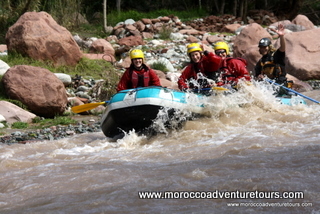 The Splash Crew of international river guides and local tour guides will go out of their way to tell you everything about the area and culture of the region when you are not on the river. 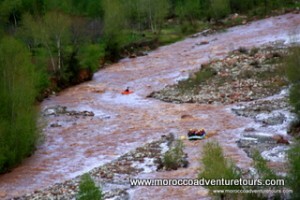 When on the river this will be a continuous rafting trip that is both a technical and steep section of river. You will be focused on what you are doing and listening to your guides commands. 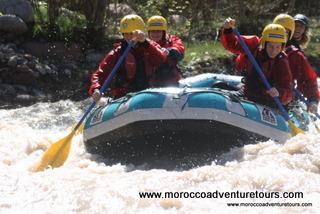 In summary an experience that will be the highlight of your trip and leave you demanding more and feeling a true sense of achievement and pride in what you have just done. Check out more of our rafting photos at our Photo Gallery.